2015 Scion iQ How our users rated the 2015 Scion iQ. 2015 Volkswagen Golf R How our users rated the 2015 Volkswagen Golf R.
Based on 985 user rankings. Driven or own this vehicle? Rank this vehicle to share your opinion. 2015 Chevrolet Volt How our users rated the 2015 Chevrolet Volt. 2015 Mitsubishi Mirage How our users rated the 2015 Mitsubishi Mirage. 2015 Chevrolet Spark EV How our users rated the 2015 Chevrolet Spark EV. 2015 Honda CR-Z How our users rated the 2015 Honda CR-Z. 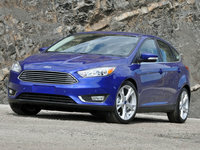 2015 Ford Focus How our users rated the 2015 Ford Focus. 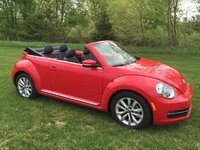 2015 FIAT 500e How our users rated the 2015 FIAT 500e. 2015 Chevrolet Sonic How our users rated the 2015 Chevrolet Sonic. 2015 Hyundai Elantra GT How our users rated the 2015 Hyundai Elantra GT. 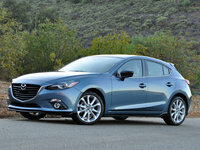 2015 Mazda MAZDA3 How our users rated the 2015 Mazda MAZDA3. 2015 Ford Focus Electric How our users rated the 2015 Ford Focus Electric. 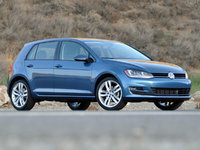 2015 Volkswagen Golf How our users rated the 2015 Volkswagen Golf. 2015 Kia Rio5 How our users rated the 2015 Kia Rio5. 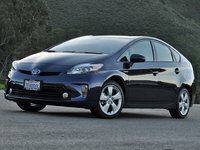 2015 Toyota Prius Plug-In How our users rated the 2015 Toyota Prius Plug-In. 2015 Subaru Impreza How our users rated the 2015 Subaru Impreza. 2015 Hyundai Accent How our users rated the 2015 Hyundai Accent. 2015 Nissan Leaf How our users rated the 2015 Nissan Leaf. 2015 Toyota Prius How our users rated the 2015 Toyota Prius. Based on 976 user rankings. Driven or own this vehicle? Rank this vehicle to share your opinion. 2015 Toyota Yaris How our users rated the 2015 Toyota Yaris. 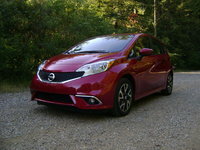 2015 Nissan Versa Note How our users rated the 2015 Nissan Versa Note. 2015 Volkswagen GTI How our users rated the 2015 Volkswagen GTI. Based on 1,045 user rankings. Driven or own this vehicle? Rank this vehicle to share your opinion. 2015 Kia Forte5 How our users rated the 2015 Kia Forte5. 2015 FIAT 500L How our users rated the 2015 FIAT 500L. 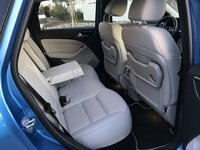 2015 Toyota Prius c How our users rated the 2015 Toyota Prius c.
2015 Volkswagen e-Golf How our users rated the 2015 Volkswagen e-Golf. 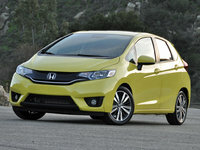 2015 Honda Fit How our users rated the 2015 Honda Fit. 2015 Chevrolet Spark How our users rated the 2015 Chevrolet Spark. Based on 793 user rankings. Driven or own this vehicle? Rank this vehicle to share your opinion. 2015 Ford Fiesta How our users rated the 2015 Ford Fiesta.